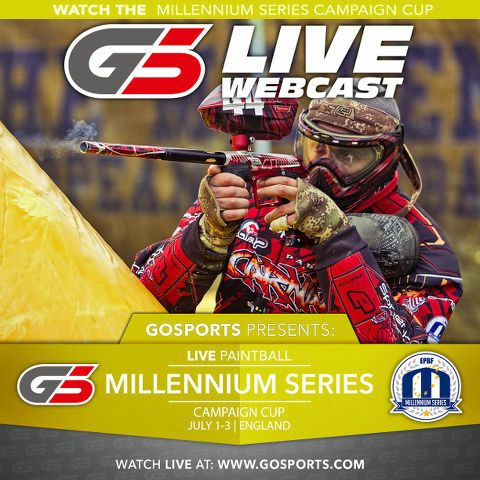 The Campaign Cup, third leg of the Millennium Series tour is officially underway with the preliminary rounds beginning this morning from Basildon, England. Today's schedule features all of Europe and the North America's best pro players and teams as the Toulouse TonTons, Breakout Spa, Edmonton Impact, GI Houston Heat, Manchester Firm, ML Kings, Scorpions Milano, Frankfurt Syndicate and the rest of the CPL bracket taking to the fields in hopes of being the last ones standing on the podium Sunday afternoon. Tune into www.GoSports.com all day long to watch LIVE, up-close and personal coverage of the Campaign Cup as it happens. And as the day continues on Friday the Millennium Series CPL games will transition to the immensely popular EPBF Men's World Cup/Nations Cup, where all-star teams from around the globe will compete for worldwide bragging rights. So who will win the Men's World Cup? Will it be one of the favorites such as Germany, Russia, USA, Sweden, Great Britain or France? Or will one of the newer countries to pro paintball like Italy, Argentina, Czech Republic or another rise that will to the top? If this isn't must watch paintball, what is? Again, catch it all Friday through Sunday LIVE only at www.GoSports.com. A subscription to www.GoSports.com is only $7.99 (USD) per month and you can cancel any time. It is with great sadness and regret that GoSports joins the rest of the paintball community as we mourn the loss of one of our own. Michel Moine was tragically killed in an automobile accident en route to the Campaign Cup. Our thoughts and prayers are with you and your family.